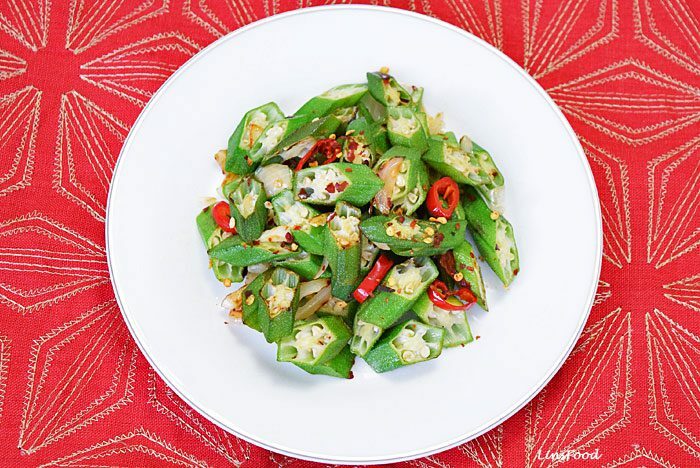 This Fried Okra with Lime and Chilli will make a believer out of you – no slime in sight! 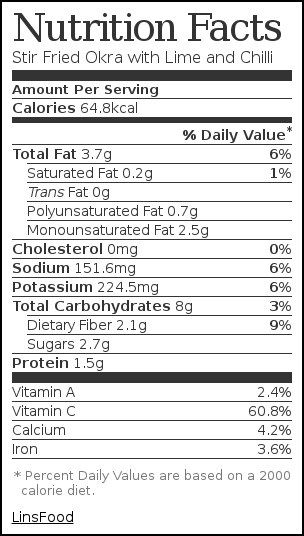 Okra has such an undeserved bad rep, just as much for its infamous gooey insides as its bland, almost negligible flavour. I must confess to being a huge fan of it though, however it is cooked, whether with lots of spices to enhance its naturally mild constitution or with just a few ingredients so its natural woody, grassy flavour can be enjoyed to the fullest, as in today’s recipe. Make sure that the okra is dry, very dry, before you cut it and most certainly, before you cook it. Moisture encourages the spread of the characteristic goo. Cook it on high heat, this will cook off any remaining moisture and sticky liquid. This Fried Okra with Lime and Chilli is quick to cook and has a very subtle flavour, it makes the perfect accompaniment to stronger flavoured rice, curries or dal. You can read more about Cooking with Okra here. Are you a fan of okra? What’s your favourite way of having it? 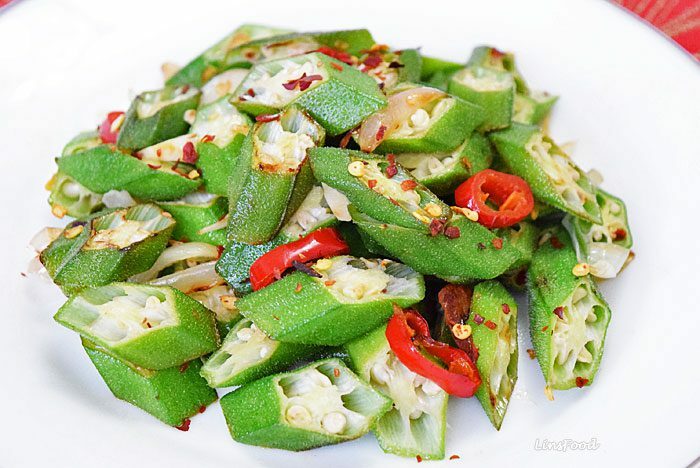 Fried Okra with Lime and Chilli, a quick and easy, dry okra stir fry. Slice the okra up at an angle into bite sized pieces. Heat the oil up in a large frying pan on medium high heat. Cook the onions for about a minute. Toss in the chilli and garlic and fry for on about 30 seconds. Add the okra, turmeric and salt in and stir it all up to mix. Keep frying and stirring for about 5 minutes until okra is cooked. The okra will start getting burnt and crispy at the edges, that's the effect we want. When the okra is done, add the lime juice and cook for another 30-60 seconds to burn off the juice. Take off heat, scatter with chopped coriander (cilantro) and serve immediately. Hi, I’m using WordPress. Theme is Genesis. This is a really interesting post. The only okra I’ve ever eaten was a disgusting gooey mess, but it’s a vegetable I always imagine should taste good. 🙂 I have to find some fresh okra and try this recipe! I think so many people get put off by the gooey mess but it’s definitely one of my favourite vegetables!